TORT TALK: Punitive Damages Allowed for Cell Phone Use During Car Accident? 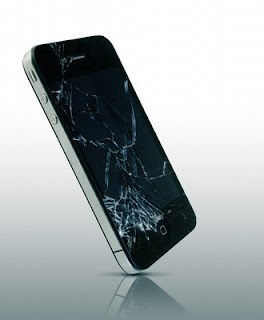 Punitive Damages Allowed for Cell Phone Use During Car Accident? It has now come to my attention that Judge Michael E. McCarthy of the Allegheny County Court of Common Pleas has allowed such a claim to go forward beyond the Preliminary Objections stage in an Order issued without an Opinion in the case of Deringer v. Li, No. GD10-019081 (Allegh. Co. Dec. 16, 2010). In this matter, the Plaintiff alleged, on information and belief, that the Defendant was using a mobile device at the time he rear-ended a motorcycle on which was the husband and wife Plaintiffs. The motorcycle was allegedly stopped to make a left turn. The Defendants filed Preliminary Objections to the Plaintiffs' claim for punitive damages based upon the allegedly reckless conduct of the Defendant in utilizing a mobile communications device while driving. The defense attempted to argue that such conduct only amounted to negligence and did not support any claim for punitive damages. The Defendant also argued that the Pennsylvania legislature has not made cell phone use while operating a car illegal. It is noted that, in overruling the Preliminary Objections filed by the Defendant, the Allegheny Court of Common Pleas did note in its Order that "The arguments may be more appropriately raised and addressed by motion for summary judgment." Anyone desiring a copy of the Order or the Briefs in this matter may contact me at dancummins@comcast.net. UPDATE: If you look at the "comments" (click on the word "comment" below), you will note a reference to the docket number of another case allowing such a claim to proceed beyong the Preliminary Objections stage in Fayette County.